A good traditional pub, now run by the same tenant that keeps the nearby Spread Eagle. The barman had a good chat with me about pubs and breweries. Penultimate pub on an annual tour of Wandsworth, still a proper traditional pub and well worth visiting. Under new management since my last visit, I am pleased to see that nothing much has changed, service was good and the beer was top notch. 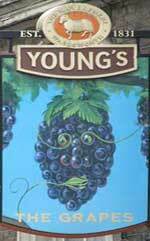 Busy with wet sales today, a proper pub of the style that most Young's pubs used to be. Afternoon visit and thriving. It was rather warm inside so we sat outside in the smoking area until a smoker arrived and then went back indoors. One of my favorite Wandsworth pubs, very much a traditional boozer and a place where the landlord actually makes an effort to talk to you, I like this place. A busy Tuesday afternoon with a good mix of people who all seemed to be drinking "Ordinary". Eagle (was Wells & Young's, was Charles Wells, was Wells) - Young's Bitter 3.70 A realy well kept pint. 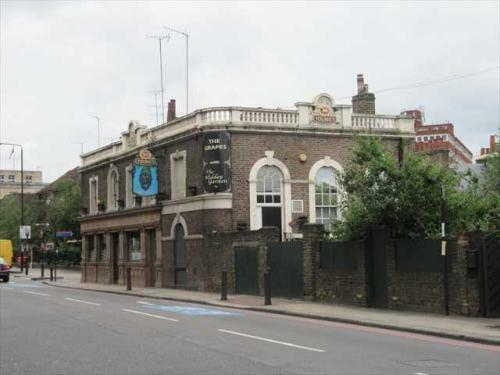 The pub is found in Wandsworth, Greater London, SW18 1DX. Traditional wood panelled pub, now one bar but retaining the atmosphere of a proper local. There is a garden at the rear of the pub. We have visited this pub 7 times, seen 3 different beers and tried 2 of them.